Bali. The very word conjures up images of exotic palm trees swaying in a gentle breeze, and an azure sea lapping a white-as-sugar sandy beach, doesn’t it? And having just spent a week there, I can confirm that those impressions are spot-on. If anything, the Indonesian island is even better than I imagined. I stayed at the Bliss Sanctuary For Women, a very small (the maximum number of guests is nine) spa on the south coast of the island. It did not disappoint. After a 45-minute drive from Denpasar airport, we arrived via a narrow, rather unprepossessing road, with rice fields on one side and a few shops on the other. This approach gave no hint of the lush, becalmed luxury that awaited behind a wooden door set in a long, high wall. Once through the door, we stepped into an oasis – a large, richly coloured, plant-filled garden in the middle of which sat a long, turquoise swimming pool. Suddenly I was in a different world and instantly felt the weight of the world lift from my shoulders. We arrived fairly late at night in our winter coats but they were quickly discarded as we were shown to our room. The room was a vast, marble-floored space boasting two double beds draped in mosquito nets. 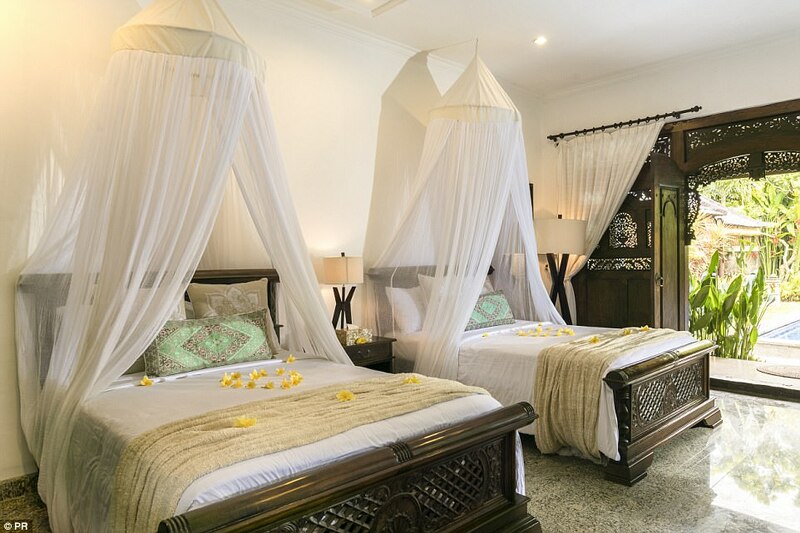 The rooms are air-conditioned so there’s no need to open the windows and let those pesky insects in, but the nets look fabulous anyway and add to the far-flung holiday feel. At the end of the room, through beautifully carved wooden doors, was a real surprise – the en suite. The incredibly glamorous bathroom was open to the skies – the only barrier from the elements being giant, pea-green plants rooted in a border made up of shiny black pebbles. It was dramatic and stylish. There is something so decadent and liberating about showering or bathing (we had a huge marble bath too) in the open air. The next morning, my pal Jane and I wrapped ourselves in sarongs from a basket in our room and padded across the springy, moist grass to breakfast. This can be anything from a fruit salad – I’ve never tasted pineapple or mango as sweet – to pancakes dotted with discs of bananas and topped with bacon and maple syrup. Guess which option I went for? Well, I wasn’t there to lose weight – this is a sanctuary, not a boot camp. I’ve brought up two children and thought I’d tried every trick under the sun to sneak fruit into their diet when they were younger, but sadly the idea of sneaking bananas into pancakes passed me by. All meals contain fresh local ingredients – green beans, water spinach, mouth-watering fish, king prawns, and chicken often drenched in an irresistible Balinese peanut sauce. After breakfast, our soothing hostess (she’s more of a guide really) asked us to choose our treatments for the day. Bliss offers several all-inclusive packages – we’d opted for the one with 90 minutes of pampering a day. Well, it seemed rude not to. There is a long list of options and I squealed with delight while looking through them – facials, many different types of massage, pedicures, manicures, something called a ‘hair bath’ – in fact just about everything you could imagine. It was thrilling and indulgent and, as pathetic as this may sound, greatly enhanced for us by the thought that afterwards we did not have to go home and cook supper for ingrates. 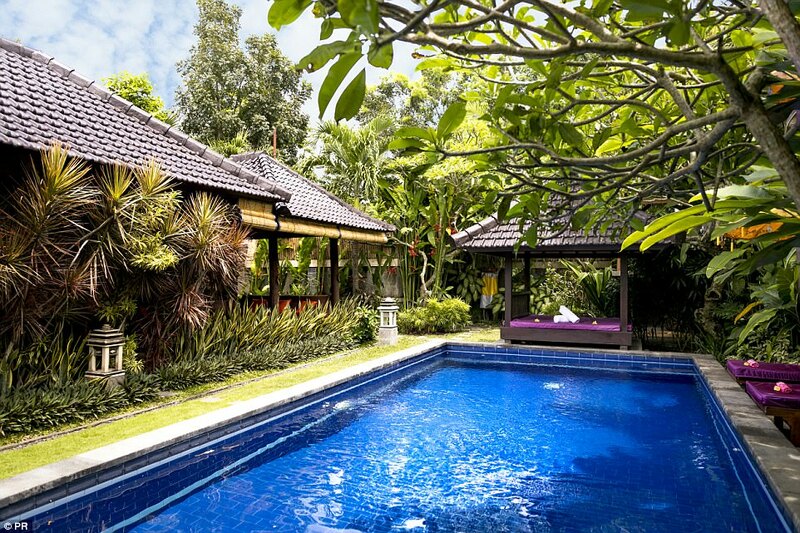 For our first treatment we opted for Balinese massages – a vigorous, tension-releasing kneading of tired muscles. To add to the intoxicating magic of it all, we were laid out on massage tables in an open-air pagoda-style wooden structure in the middle of a huge walled garden. As I was pummelled, I dreamily watched tiny geckos scuttle about on the roof. Jane and I were full of good intentions after our treatments, but instead of exploring our surroundings, we ended up flopping by the pool. We felt so relaxed that we nearly fell off our loungers. 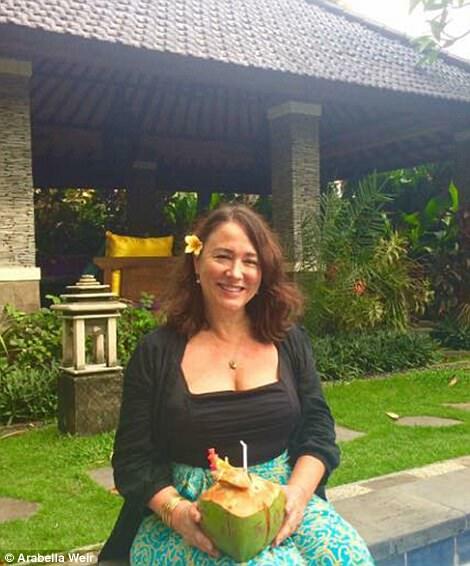 There is plenty to see in Bali – it’s just that… well, we were at a sanctuary and we’re middle-aged mums. If it’s a toss-up between walking around a lovely temple or seizing the opportunity to zone out beside a pool, there’s no contest. Treating oneself doesn’t come that easily to most working mums. What woman doesn’t dream about lying around all day being pampered, free from her children, husband and household chores? On another morning Jane and I roused ourselves to greet the day at 7am with a sunrise yoga session. My initial reluctance – caused by the delay in getting to those scrumptious pancakes – quickly evaporated as I practised my downward- facing dog to a chorus of exotic birds. It was such a wonderful way to wake up. As if being pampered and cooked for weren’t enough, just being able to spend days dressed in nothing but a sarong – no pants, bra or make-up – is a luxury break in itself. 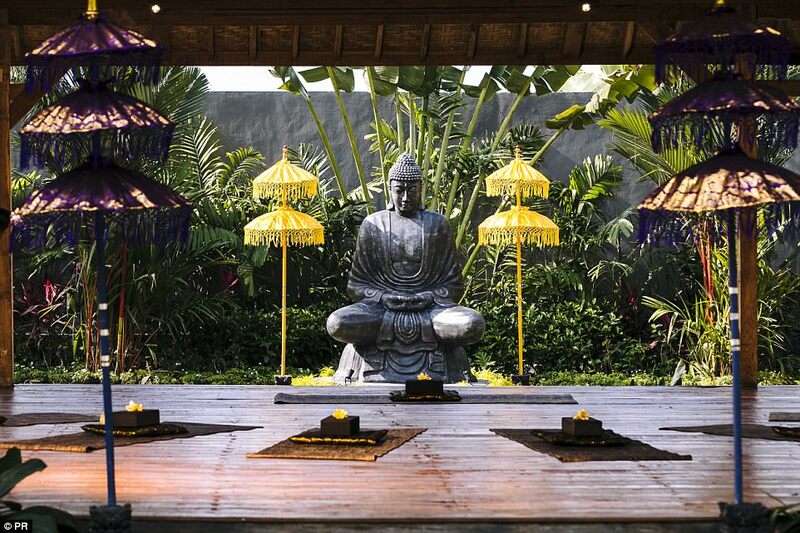 It’s a long flight to Bali from the UK, but if you can face that, your effort will be rewarded because the Bliss Sanctuary is just as the name suggests… pure heaven. Arabella Weir is an actress and writer best known for her role in The Fast Show.